Allscripts announces Q3 results: revenue up 15 percent, adjusted EPS $0.16 vs. $0.14, beating revenue expectations and meeting on earnings. Share price was unchanged in early after-hours trading. The company raised its 2017 financial outlook. It also reiterated its expectation to spend $50 million in severance and transaction costs starting in Q4 related to its acquisition of McKesson’s Enterprise Information Solutions business. From Desperado: “Re: Verity Health (fka Daughters of Charity). As expected and reported on HIStalk, they are implementing Allscripts enterprise-wide. It will be interesting to see how the organization uses consultants, as the new owner Patrick Soon-Shiong is already rapidly cutting consultants.” Unverified. 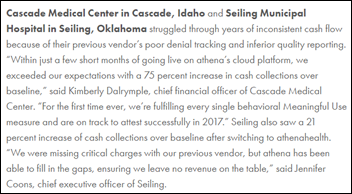 It was obvious that Verity was the client when Allscripts announced a new six-hospital Sunrise sale in August without naming its customer. Verity is rumored to have scrapped a year’s worth of product evaluations in being forced to choose non-frontrunner Allscripts as part of a deal between Soon-Shiong and Allscripts, which lost $150 million from buying since-devalued NantHealth shares as Soon-Shiong took a $100 million position in Allscripts stock that also went down. I’m sure Allscripts is happy to get a new Sunrise sale and the chance to earn back some of the losses that resulted from its ill-advised dealings with Soon-Shiong, but shotgun implementations by financially struggling health systems don’t always go well. From Who Is Infoblocking: “Re: Sutter Health’s patient portal. 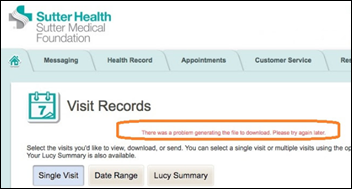 Apparently early adopters of Epic’s portal have taken a big step backward when it comes to the ability of patients to download their health records, making it unreasonable for providers to attest unless the problem is addressed. See the attached error message, which appears nine times out of 10 when trying to download visit summaries. Not clear if this is a generic Epic issue or specific to the Sutter implementation.” Unverified, but odd if it sometimes works and sometimes doesn’t. From This One Goes To 11: “Re: Athenahealth. Seems worried about a takeover of the company based on a recently filed 8-K.” Athenahealth’s October 23 change-in-control filing protects its top executives from acquisition-related termination by guaranteeing them a one-year severance, a 100 percent expected bonus payout, 12 to 18 months of continued medical and dental coverage based on position, immediately vested stock options, and a $10,000 outplacement grant. From Albacore: “Re: Athenahealth. 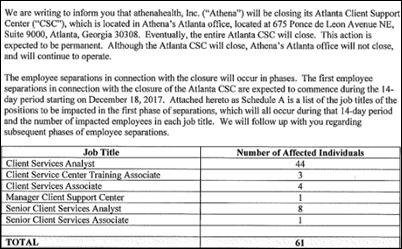 I’m surprised by its layoffs in Atlanta, which includes closure of its entire client service center, 61 jobs in total. Affected job titles as reported to the state are a far cry from sales and marketing. RazorInsights was headquartered near Atlanta. Wonder how many of these people are supporting the inpatient platform and if this is early recognition of Athena pulling back from the inpatient market?” Unverified. Scheduling a layoff to start one week before Christmas is pretty cold. I mentioned the excellent book “Misbehaving: The Making of Behavioral Economics” by newly minted Nobel winner Richard Thaler. Here’s an example of a brilliant observation from it. The CEOs of companies nearly universally seek high-risk but potentially high-reward startup acquisition deals, knowing that while most of the companies will fail, one or two will hit a home run and make the process profitable (the same theory venture capitalists apply). However, the decisions of which acquisitions to pursue rests in the hands of VPs, whose perception is that their personal upside to a successful acquisition is minimal (maybe a small bonus or promotion), while their downside risk is getting fired for choosing an unsuccessful one. That means CEOs will never know about deals that would interest them and potentially be in the best interest of the company and its shareholders. Thaler suggests that a single VP be held responsible for the overall performance of a package of acquisitions instead of being personally tied to just one. It is fascinating to me how corporate strategies and execution can be derailed by people whose biggest fear is being fired and who act accordingly. I’ve seen some ugly internal fights even in non-profit health systems, where mid-level executives destructively wage guerilla warfare against each other in trying to increase their influence or future job prospects. Patients were incidental to the infighting, of course. Organizational Behavior was one of my favorite MBA courses. This week on HIStalk Practice: CMS Administrator Seema Verma announces “Meaningful Measures” effort. Performance Solutions launches orthopedic practice transformation service. Health2047 invests $12 million in new business. AMA President David Barbe, MD shares frustrations with his home state’s lack of a PDMP. Heal expedites house-call access to lactation consultants, PTs. Teladoc creates new executive role, reports on Q3. The Missouri State Medical Association works on members-only HIE. Impact Healthcare implements opioid addiction treatment app. 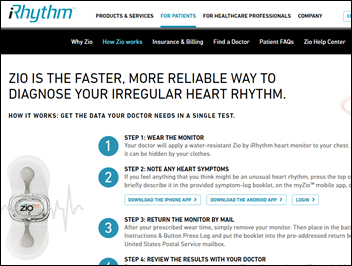 Arrhythmia diagnosis technology vendor IRhythm Technologies reports Q3 results: revenue up 49 percent, EPS –$0.28 vs. –$2.80, beating analyst expectations for both and raising revenue guidance. Shares are up 117 percent in the past year, valuing the company at just over $1 billion. 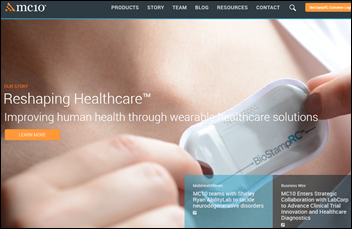 LabCorp makes an unspecified equity investment in MC10, which offers wearable sensors for clinical trials participants. The company had previously raised $72 million. Leidos announces Q3 results: revenue up 34 percent, adjusted EPS $0.95 vs. $1.25, beating earnings expectations but falling short on revenue. Philips predicts that its health technology focus will increase sales 4-6 percent in the next three years. Apple reports Q4 results: revenue up 12 percent, adjusted EPS $2.07 vs. $1.67, beating analyst expectations for both with strong contributions from the iPhone 8 and 8 Plus. Shares rose nearly 5 percent in early after-hours trading as Apple closes in on becoming the first $1 trillion market cap company. 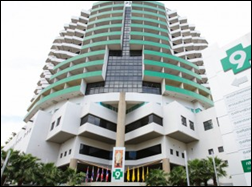 In Thailand, Bangpakok 9 International Hospital chooses Medicomp’s Quippe Basic for point-of-care electronic documentation. 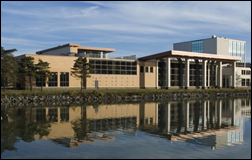 Cayuga Medical Center (NY) chooses Summit Healthcare’s Exchange platform to exchange CCDs, taking advantage of an integrated HISP, API extendibility, and a customization mapper to support future standards-based integration initiatives. 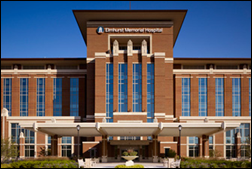 Two former CPSI community hospital customers return in choosing Evident’s Thrive EHR – Seiling Municipal Hospital (OK) and El Campo Memorial Hospital (TX). Both hospitals have new operators who reversed previous decisions to move to the systems of unnamed CPSI competitors. Ironically, Athenahealth showcased Seiling in a splashy announcement just two weeks ago, with the hospital’s CEO bragging on how its system helped with the its financial turnaround and criticizing “our previous vendor” that has apparently shed the “previous” part of the title under a new management company. 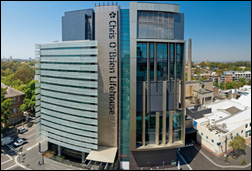 In Australia, the Chris O’Brien Lifehouse cancer hospital will implement Meditech 6.x modules for oncology, pharmacy, materials management, and patient portal. 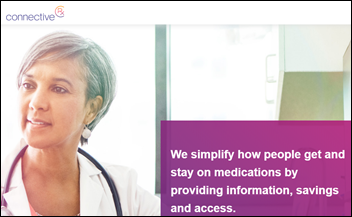 Edward-Elmhurst Health (IL) selects Outcome Health’s waiting room advertising system. Clinical documentation system vendor ChartWise Medical Systems names Steven Mason (MedeAnalytics) as president and COO. Oncology benefits management company Oncology Analytics hires Rick Dean (UnitedHealth Group) as CEO and board member. He replaces founder Marc Fishman, who will serve as executive chairman. 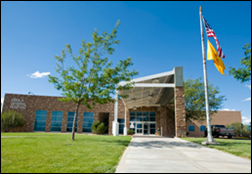 Clinical Computer Systems, Inc. completes integration of its Obix Perinatal Data System with Medhost at Cibola General Hospital (NM). 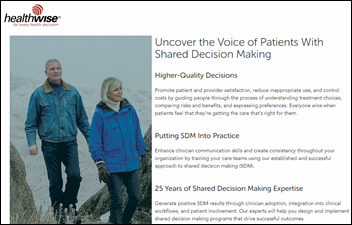 Healthwise launches shared decision-making programs orthopedics, cardiology, urology, primary care, and end-of-life, with the patient-expressed preferences saved back to the the patient record via HL7 connectivity. Prescription affordability and adherence solutions vendor ConnectiveRx announces that it has worked with analytics vendor EagleForce Health to screen 12 million prescriptions in support of the federal anti-kickback statute, in which government health plan prescriptions are reviewed in real time to make sure that no pharma co-pay cards or patient savings cards are used. Washington, DC rolls out PulsePoint Respond, a free phone app that 911 operators can use to notify CPR-trained users of nearby cardiac arrests. 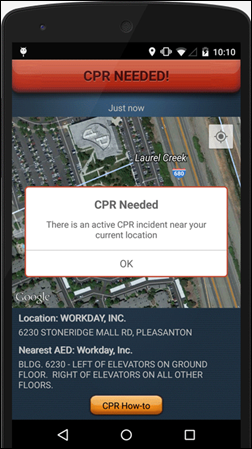 The app also displays the location of nearby automatic external defibrillators. Google’s AI-focused startup incubator announces four companies for its first class, all of them working in health IT. The chosen startups get training, mentorship, equity-free support, and access to hardware and software. 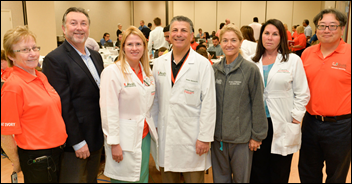 University of Miami Health System (FL) goes live on Epic and renames its hospital-based facilities to University of Miami Hospital and Clinics as it transitions to an academic teaching hospital. The AHA and two other hospital lobbying groups sue CMS in trying to stop reduction in payments under the 340B Medicaid drug rebate program that was originally intended to help underfinanced hospitals procure drugs for indigent patients. Hospitals make a small fortune (and have raised pharma’s ire) since the law doesn’t require them to limit the use of discounted drugs use to indigent patients or to pass along their savings to consumers or insurers, directly boosting their bottom lines but reducing those of drug manufacturers. 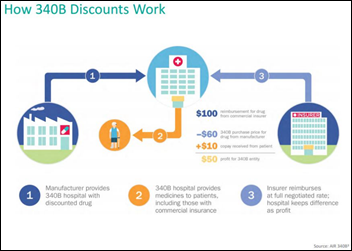 An earlier analysis found that a single oncologist could boost a hospital’s profits by $1 million in ordering the discounted chemo drugs for patients with commercial insurance. A “liquid biopsy” blood test detects changes in a patient’s BRCA1 or BRCA2 breast cancer genes that require switching chemotherapy drugs, an application of precision medicine that allows tailoring drug therapy as tumors become resistant. A study finds that the symptoms and exertion tolerance of non-emergency chest pain patients don’t improve after having a cardiac stent implanted. 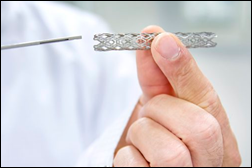 The study surprisingly involved performing phony stent implants on half the study patients, then compared the outcomes to those who received real stents. It will be interesting to see how this affects the hundreds of thousands of stents implanted each year, given that: (a) providers get paid richly for installing stents; (b) patients are always looking for a quick solution to their problems and have grown used to the idea that stents are a cure-all; and (c) doctors will likely be reluctant to reduce their stent use for fear of being sued for malpractice. The local paper profiles an Oregon-based union employee of Legacy Health who says her hospital-provided health insurance –issued by an insurer acquired by the health system for a reported $247 million — “hardly covers anything” in her lymphoma care. The paper notes that the hospital is taking the employee to collections even as it booked a $126 million profit last year and paid its CEO $2.3 million. 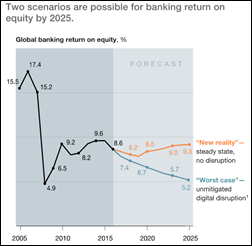 Disintermediation, as customers move to other technologies to borrow money, send money, or buy low-cost goods without using a debit card. Unbundling, where non-bank companies like PayPal cherry pick profitable banking services that leave banks running money-losing services such as checking accounts. Commoditization, where undifferentiated banks fail to create brand loyalty. Invisibility, where customers can buy unbranded services without knowing or caring which bank provides them, with banks suffering from a loss in the customer relationship. 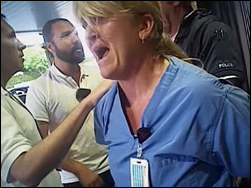 Alex Wubbels — the Salt Lake City hospital nurse who was manhandled by a since-fired city detective for following hospital policy in refusing to allow blood to be drawn from an unconscious patient — will receive a $500,000 payment even though she didn’t file a lawsuit. Salt Lake City and the University of Utah will each pay $250,000. Wubbels says she will use part of the money to help people obtain police body camera footage to prove their claims. She will also donate to the Utah Nurses Association and lead the ANA’s #EndNurseAbuse campaign. 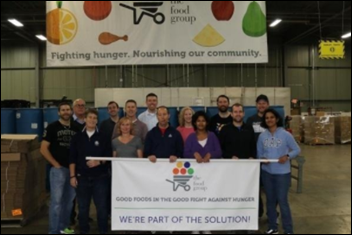 LogicStream Health employees pack food boxes for The Food Group. Medicomp Systems showcases the capabilities of its Quippe Clinical Data Engine on its updated website. Netsmart will work with nursing facility operator Cantex Continuing Care Network to develop a smart referral management solution. LifeImage joins Google Cloud as a technology partner. Imprivata is named Cerner’s 2017 Partner of the Year. Two Meditech-using hospitals in Maryland earn HIMSS EMRAM Stage 7. Sonifi Health will offer evidence-based health education from Healthwise to customers of its interactive patient engagement system. EClinicalWorks will exhibit at the National Conference on Correctional Health Care November 4-8 in Chicago. FormFast, Healthwise, and Kyruus will exhibit at Salesforce’s Dreamforce conference November 6-9 in San Francisco. Imprivata will exhibit at HealthAchieve November 6-9 in Toronto. Intelligent Medical Objects Chairman, Founder, and CEO Frank Naeymi-Rad receives AMIA’s Leadership Award. Healthcare Growth Partners advises Ascend Learning in its acquisition of health simulation vendor Kognito. Liaison Technologies embeds cloud-friendly ECS integration capabilities into its Alloy Edge solution. MedData and Experian Health will exhibit at the HFMA Region 9 Annual Conference November 5-7 in New Orleans. Medecision customer Christiana Care Health System earns the John M. Eisenberg Patient Safety and Quality Award. Navicure will exhibit at the NextGen One Conference November 5-8 in Las Vegas. Netsmart will exhibit at the American Public Health Association Annual Meeting & Expo November 4 in Atlanta. NTT Data Services will present and exhibit at Salesforce’s Dreamforce conference November 6-8 in San Diego. Clinical Computer Systems, developer of the Obix Perinatal Data System, will exhibit at the NOHIMSS Fall Conference November 10 in Cleveland. PatientKeeper will exhibit at HealthAchieve November 6-7 in Toronto. Would it surprise anyone that Jonathan Bush has a picture of him grinning alongside Donald Trump prominently displayed in his office? After all of the JB’s “disrupt healthcare” bluster, has athenahealth come close to disrupting a damn thing? I believe there are a lot of current and former athenahealth customers that would disagree with your comment about athenahealth not disrupting a damn thing…. No Mas, No Mas ! Your shot at Jonathan Bush and athena is not a fair one. A lot of people have talked about trying to improve healthcare over time and he and athena have made a good effort at it. If you would like to share how you have improved healthcare more, please share. I can’t speak for Sutter’s setup, but it’s not odd if you knew how some of these setups work. They probably have to pull out information that has been gathered from various sources and systems, with varying degrees of data formatting validation done, and pull all that together in one report. That’s usually done through print or save to PDF. Depending on the patient, their history, their notes, etc., I could see that process failing to generate some of the time and working just fine other times. This illustrates how difficult it is to cobble together data from various sources, and why interoperability is such a difficult problem. That’s quite a deal for the millionaires at the top tier of Athenahealth. I’ll bet all those folks in customer service could have used 18 months of medical coverage and the bonus they earned for their work this year. Unreal. JB has always fought to bring humanity(TM) to healthcare. The more I see the totality of Athenahealth’s financial agreements for executives the more disgusted I get. The people who have the greatest capacity to absorb job loss are set up with a jaw-dropping amount of cash, while the people who are working paycheck to paycheck get a boot up the *ss and $600/month COBRA payments to look forward to (just in time for no more individual plans being offered on the insurance exchange in the Greater Atlanta Area). Given Outcome Health’s current situation, I’m surprised these sites continue to allow Outcome to use their names in press releases.